Jess Edelstein wanted to make the switch to natural deodorant for many reasons, but couldn’t find a product that actually worked. So she went to work creating her own deodorant, somehow convincing her best friend Sarah Ribner to use it on her volunteer trip to South America. And it worked…so good, in fact, that the girls decided to team up and bring Piper Wai deodorant to the masses. Neutralize body odor with this pH-balanced deodorant. 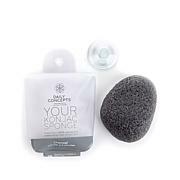 Made with a charcoal creme formula, it forms an invisible, absorbent odor shield and is free of harsh chemicals, parabens and aluminum compounds. Enjoy a more natural alternative to your standard deodorant. I finally found the one deodorant that works !!! I have tried, it seems every deodorant on the market. Please never stop making it!!!! and HSN please never stop carrying it. 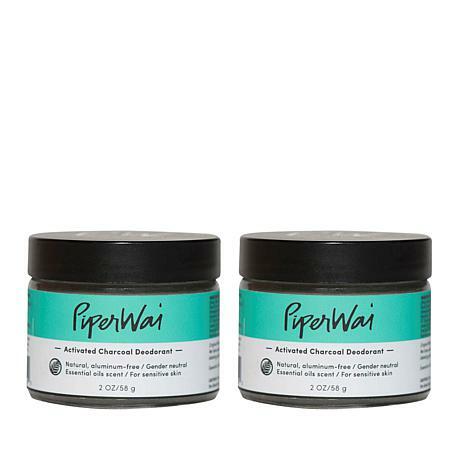 I began using Piper Wai as a deodorant. It does a great job. I never have odor if I'm wearing it. I began to wonder if it would work on my feet. I've ALWAYS had foot odor to the point of embarrassment. IT WORKS! I just rub the prescribed amount (pea size) on them after showering and sometimes I will rub a small amount in my shoes. I'd like to shout from the rooftop how well it works! Thank you Piper Wai! This has proven to be a good natural product free from harmful chemicals. I have very sensitive skin and have bad reactions to most deodorants. This is the only deodorant that works for me. It protects against odor while being gentle on my skin. I have not ever been able to find a deodorant that worked that didn't have aluminum in it. I got piper wai and I tell you it works wonders. It is kind of weird to apply, but I love it. I am used to the fragrance in it.